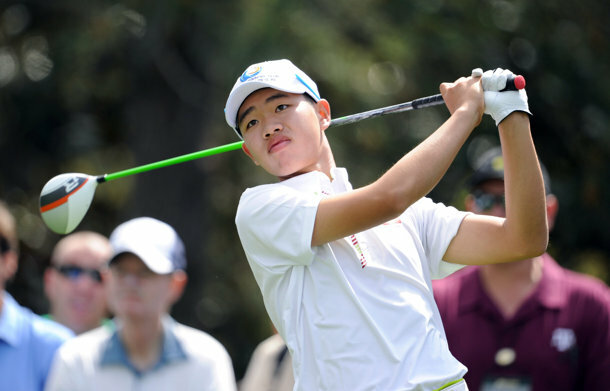 A Fourteen-year-old, named Tianlang Guan, shot a one over 73 at The Masters today! Yes, a FOURTEEN-YEAR OLD! He was the youngest golfer ever to compete at The Masters and wasn’t even born when Tiger Woods put on his first green jacket. What amazes me almost as much as Guan’s accomplishment is the way some people reacted to what he actually did. I think in our fast paced, constantly changing news cycle and twitter world, some people have lost the reality of truly stunning news. THE KID IS FOURTEEN and played arguably one of the toughest golf courses in the world. Think back to when you were a pimple faced, hormone raging fourteen year old that could barely get through the day, let alone compete in The Masters. Absolutely AMAZING. Don’t lose site of that!